THIS world of the White race has hundreds and thousands of ways to tell you and to teach you how to eat. Please do not take up their many ways of HOW TO EAT—lest you do not have but one way to soon perish. I GIVE you what I have received from Allah (God) Who Came in the Person of Master Fard Muhammad, to Whom Praises are due forever. He taught me that we eat one meal once every twenty-four (24) hours, a day—and nothing in between meals. I HAVE tried this. I am one who has self-experience in this teaching and I have tried this world’s way of eating, also. EAT ONE MEAL PER DAY AND NOTHING BETWEEN MEALS, not even the drinking of milk, pops or juices. You must not eat or drink anything between meals. You must keep your stomach regulated to that one meal and when you drink enough water to digest that one meal, then do not drink any more water between meals. PAY NO ATTENTION to your doctor saying that you need six (6) to eight (8) glasses of water with one meal per day. What he is telling you goes for three (3) meals per day. All of their medical teachings and administering is based upon a patient who eats three meals (3) per day. AND we know what kind of health and sickness we had under such way of eating. This world offers you a thousand and one different kinds of food to eat. Do not let your eyes destroy your stomach. Eat that which is good and leave alone that which is not good for you. If you try to eat everything that probably is good for your stomach, you will soon have no stomach. THE SIMPLE food is the food that will give us health; and not that food that we spice up with various kinds of spices. Neither is all that dainty meats, cakes and pies, good for you. FOR INSTANCE, most of the Muslims eat lamb (sheep). This world of the White race, found us on a diet of lamb, and they went for the cow, (beef) which is harder to digest than lamb flesh. Beef is coarser meat than lamb. 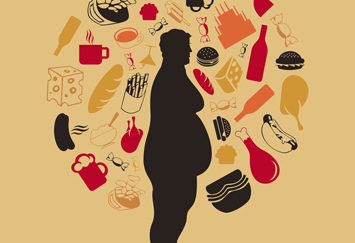 Being coarser, it takes more of our stomach’s digestive juices to digest it. And the cow is easily diseased. SO they just eat the opposite of what Allah (God) gave us to eat and what they saw us eat. They advertise just the opposite food, which is against us. EVEN TO the bread—they change it and they teach us that corn bread is good for us to eat. We can eat it if we have no other bread, but it is not good for us. If you eat corn bread you will wear your stomach out. It is too coarse for the stomach. They take the wheat flour and they ruin it by adding to it that which is not wheat. So do not look forward to their table for health food, they do not have it. LOOK at their advertisement of ‘hot dogs’. For a man to hear that some food is named hot dogs, he would not want to eat it. The dog is a very filthy animal for one to name a food after. I do not see how in the world the public gets the idea to buy a food that goes under such a name as the filthy dog. HOT DOGS—it is a very cheap food. It is made mostly of scrap beef—something that would not sell if the buyer or the consumer saw it before he bought it made into that fashion. Dog food! Hot dog—just think they buy this all over the world under that name. THE most intelligent and delicate eater would not even buy a food that had such a name as ‘hot dog’. They have certainly made fools of us. If the food is not dog, then why name it a dog? WHY could not this food be named something that has a better meaning than to give it the name of the filthy dog,—hot dog? I have worked in packing houses years ago and I have seen how these things, the hot dog, was made. I do not eat hot dogs myself. But after it is spiced up to taste good—and it is a little tasty but that does not mean that it is some fine beef flesh. No, that is not choice beef that the hot dog is made of. WE CANNOT live eating any such food as that which is thrown on the market by the Christian world. They advertise that which Allah (God) Has already Cursed from the beginning and they make us to eat the curse of Allah (God). HOW TO EAT TO LIVE. Eat that food that Allah (God) Has Prescribed for us. Even take little simple things such as beans. Allah (God) says that the little navy bean will make you live, just eat them. He Said to me that even milk and bread would make us live. Just eat bread and milk—it is the best food. He Said that a diet of navy beans would give us a life span of one hundred and forty (140) years. Yet we cannot live one-half (1/2) that length of time eating everything that the Christian table has set for us. VERY few Christians, even doctors, live eighty to ninety (80-90) years—not to think of living over one hundred (100) years. And they think they have lived for a long time if they reach a life span of eighty or ninety years. He has not been here long enough to know what life is. NOAH and Methuselah lived almost into a thousand years, but we cannot live one-tenth (1/10) that time (100 years), because we eat the wrong food. THE nature of this world (White man) was not to give and prolong our life; it is their nature to shorten our life, and they have done a good job of it. To destroy life is their very nature. HOW TO EAT TO LIVE—eat simple food. Do not be reaching for all different kinds of food for they were prepared by the man who wants to commercialize on what you eat. They are interested in commerce. They eat the scavengers of the sea and the scavengers of the earth—reptiles and what not. They have no sense of choice—they will eat anything. 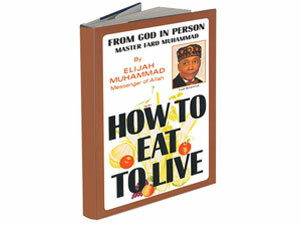 TRY and resort to what you find in this book and EAT TO LIVE.